JUSTICE Ibrahim Tanko Muhammed, CON, was born at Doguwa, in Giade Local Government Area of Bauchi State, on December 31, 1953. He attended Government Secondary School, Azare, where he obtained the West Africa School Certificate in 1973. 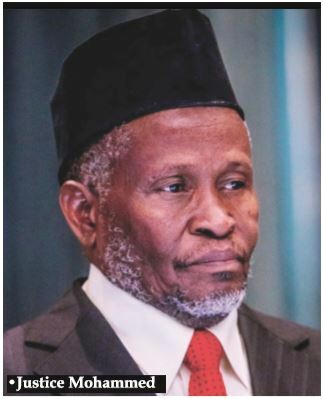 He later proceeded to Ahmadu Bello University, Zaria, where he received a bachelorâ€™s degree in Law in 1980. He was called to the bar in 1981. He also holds Masters and Doctoral degrees from the same university in 1984 and 1998 respectively. He was appointed as Chief Magistrate of the High Court of the Federal Capital Territory in 1989.